Can an ATS help with GDPR compliance? The 25th of May has been and gone, so what shall we talk about now? GDPR of course! What should you do when candidate data expires? The GDPR brings new responsibilities and harnessing these changes will help to build and maintain relevant, accurate and compliant candidate data within your Recruitment ATS and CRM to vastly improve the quality of your talent pools. The GDPR should help to better communicate with candidates, increase talent pool quality and candidate satisfaction. An active talent pool is one of the most important tools at a recruiter’s disposal, but it’s reliant on a well-stocked flow of competent, engaged candidates ready to fill available positions. In the 2017 Candidate Attraction Report, candidate scarcity was the number one challenge for recruiters. A talent pool is a pro-active strategy to address a lack of suitably qualified, skilled or experienced candidates, so revisiting your existing database can make a real difference to addressing any candidate crisis. 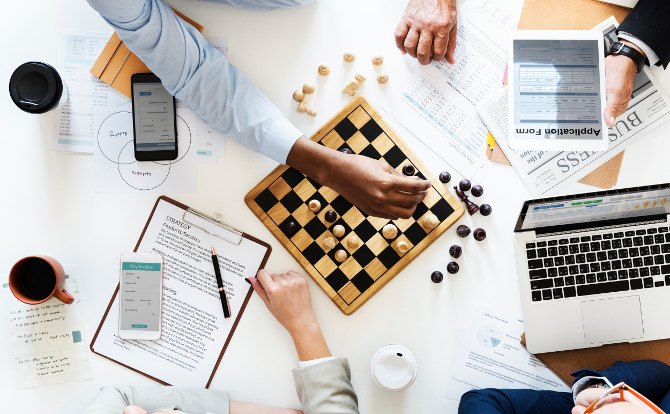 The report also confirmed that just 50% of in-house teams use their ATS/CRM as a pro-active talent pooling system, yet this technology is consistently rated above average for candidate quality. This should be standard process but it’s worth reiterating…. Is your database of candidates up-to-date? Do you have the proper consent of candidates? Are you able to flexibly search the database? Can you create talent pool email campaigns and track engagement? If you intend to market directly to passive candidates you will need to obtain their explicit, affirmative consent. In many ways, this is a benefit – since in doing so they are positively confirming their interest in you as a potential employer. Just because you have consent from a potential candidate regarding a specific vacancy where the purpose is to enter into a contractual obligation – this is not free rein to use their data for purposes such as adding to your mailing list/talent pool. Under GDPR you are required to provide greater transparency to individuals about the data you are collecting—at the time of collection—and how you will use their data. It is worth revisiting your policies regularly. Be clear on the particular purpose the candidate is consenting to and how it will be used and retained, i.e. consent for application, receiving job alerts and newsletters, join talent pools and so on. The ‘legal basis’ for capturing and processing a candidates information must be distinguishable. No more ‘If you would not like to receive our messages, please confirm your acceptance of not agreeing with our terms by unchecking the box’. Your Recruitment ATS and CRM solution should support your Data Consent Policy and be customisable to define the specific consents that your EU candidates give you to store and process their personal data to secure them a job. Having the ability to create exclusions to your consent policy will prove extremely valuable where you may have a different legal basis for retaining and processing personal information too! Read more about GDPR compliant applicant tracking systems here. Capture a candidates consent to store and process their personal information at the point of registration on your careers site and provide the opportunity to manage consents. Content Marketing is about creating valuable engaging content such as ‘top tips for revitalising your CV’, e-books about potential career paths, employee stories & videos. It should be focussed on valuable, relevant and consistent content to attract and retain a clearly defined target audience. As part of engaging a talent pool stocked with candidates who have given their consent, content marketing is an essential tool for building and nurturing highly engaged talent pools. This is your opportunity to develop trust and credibility with passive talent. Don’t fall into the trap of one-way communication but use content marketing to increase brand awareness and loyalty in a way which inspires candidates to respond. Think about the journey of various segments – is it to create awareness or at the start of the journey showing an initial interest? What happens when candidate consent expires? Having the ability within your Data Consent Policy to define, automatically, what should happen when a candidates consent is about to expire will provide the opportunity to send automatic reminders that encourage candidates to re-consent. Within your Recruitment ATS and CRM check you can send reminders prior to the consent expiring. If a candidate still fails to respond, you should be able to send a final communication to confirm that their consent has expired and what will happen next with their data. There are good reasons why you wouldn’t just delete a candidates’ information from within your ATS. Yes, deletion should be an option but anonymisation of candidates’ personal information is also important, especially having the ability to anonymise personal information but not, say ‘Source’ i.e. where a candidate came from. Anonymisation in this way would mean you can retain accurate stats and won’t lose data on non-personal information. Our e-book ‘Fantastic Talent Pools and How To Build Them’ takes a comprehensive look at talent pooling; what is the difference between Talent Pools, Talent Pipeline, Communities and Database, Tips of Segmenting, Communication and the Importance of Measurement. You can pre-order your free copy here. 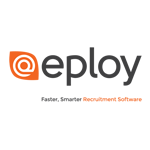 The latest suite of Eploy tools focus on key aspects of the new regulations that introduce or extend features for better Consent Management, Data Anonymisation, Data Retention Policies, flexible enough to cope with varied requirements and give candidates the control to ensure that their data is safe, secure and not misused.